Red color never gets out of fashion and matches with any outfit. I am a happy buyer of this outfit. Its vibrant red color is a lot different than other sweatshirts that I have. In fact, when I wore it for the first time, I found that I look way better than in the images. Now it’s turning out to be very useful for the cold season. Exceptional service. I travel a lot so i always need 2 to 3 hoodies in my bag anytime. This hoodie is my travel companion wherever i go and plus it doesn’t take much space. With such a big discount on the lightning bolt logo pullover style Red Flash Hoodie, you can easily order the entire superhero hoodie collection. This hoodie is a pullover style outfit with a large pouch pocket in the front. 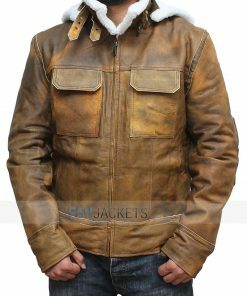 80% cotton and 20% polyester is used to create this outerwear. The hood has adjustable strings. 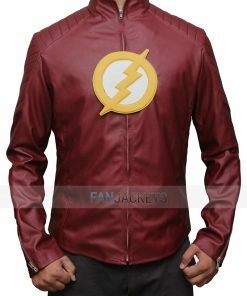 The logo is made in the center of the Reverse Flash Hoodie, giving it a costume look. The cuffs and waist border is made of rib knit, which is seen in all hoodies to grant a proper fit.